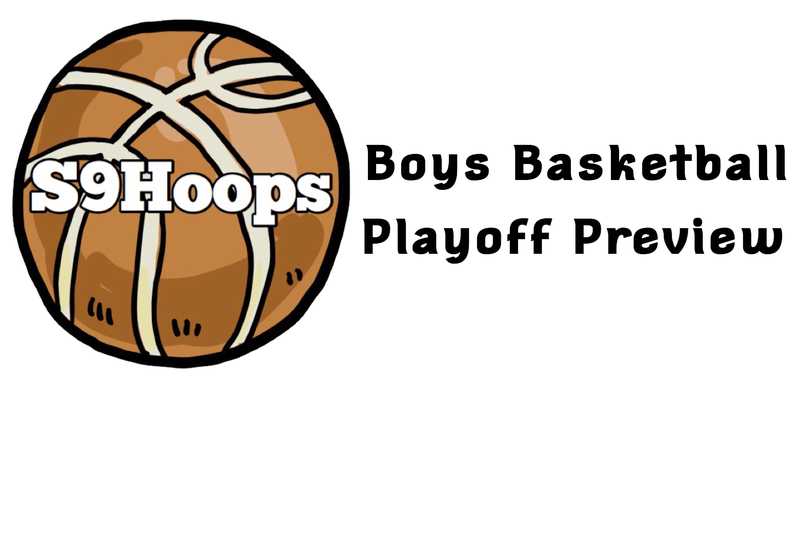 Below is a boys basketball playoff preview filled with favorites, sleeper picks, and more. The Tigers finished 18-2 in the regular season with one of the toughest schedules in Section 9. Star guard Brian Moore is a candidate for S9Hoops Player of the Year averaging 27 points per game. Kingston is also one of the bigger teams in Section 9 with senior trio Jimmy Moot, Chris Bamba & Daivel Jackson all standing at 6-foot-4 or taller. Middletown is the only Class AA team to have beaten Kingston this season. Cousin tandem Marquis & Keon Gill are the leaders of a senior-heavy Middletown team that averages a Class AA high 72.1 points per game. Don’t let Newburgh’s 11-8 record fool you, they have one of the most well-rounded teams in Class AA this season. Their losses include three single digit defeats to Kingston and Middletown (twice), Iona Prep & Albany Academy. When playing at their peak, Newburgh is one of the best in Section 9. Last week when Washingtonville defeated Warwick 48-44, Warwick missed shots they usually make. Playing at Washingtonville is a tough task, but I think they’ll sneak out with a victory. Fun fact: No. 1 Kingston hasn’t won a Section 9 title since 2013, and hasn’t been in a title game since 2014. The Huguenots are undefeated in Class A play, and are led by senior tandem Axel Rodriguez & Casey Burke, as well as junior center Patrick Murphy. There may be some Class A schools with great guard-play or size in the paint, but New Paltz has both. They will play the winner of FDR & Red Hook in the semi-finals. This is the best Monticello team in quite a few years. Junior guard Josh Gattling is one of the best two-way guards in Class A, averaging 18.8 points and 3.7 steals per game. Jordan Ruggerio, Alonzo Stergis, Dannez Moore, and Damorn Hall-Rucker are all averaging 8-or-more points per game. The Panthers may lack the size that other Class A teams have, but with strong guard-play, they are a sleeper in a competitive Class A this season. Goshen won by a combined three points in their two gritty regular season matchups, and I expect their quarterfinal game to be no different. The Coliseum will be as rowdy as its ever been for what should be an awesome game. The Dragons had to win their last two games, and they did just that, including a 24 point win over Monticello earlier last week. The Dragons are the only Section 9 team to allow less than 50 points per game (46.7). Big-men Will Fredericks & Kyle Skivington have stepped up their game as of late. Cornwall & Minisink Valley split their games at 1 apiece in the regular season, but I think the Dragons defense and size will be too much for the Warriors this time-around. The Blue Devils hold the best record in Section 9 (19-1), and are coming off a wire-to-wire win against Class A favorite New Paltz in the MHAL Final. They also have one of the most explosive offenses in the section, averaging 73 points per game, and have four players averaging double-figures. They will play the winner of Liberty & Spackenkill in the semi-finals. A six seed with a 6-foot-10 center, who averages a double-double per game — yeah, that sounds like a sleeper to me. Cameron Ness has been a wrecking ball in Section 9 this season, and looks to continue that in the playoffs. Highland comes into the playoffs winning 6-of-their-last-7 games. The Huskies beat O’Neill 70-62 in November. O’Neill star guard Darius Boben has had a fantastic season for the Raiders — and I think he’ll have a great game against Highland, but I believe Cameron Ness will be too much for them to handle. Fun fact: Ellenville seeks their first Section 9 title since 1990 — where they were a Class C team. 6-foot-3 junior guard Jake Daly has proven himself to be one of the best underclassmen in the area, averaging 17.3 points, 7.1 rebounds, and 6.1 assists per game. Senior guards Patrick Kyle & Colby Whalen are both aveaging double-digit points for the No. 1 seed Blazers. Fun fact: The No. 2 seed S.S Seward has been in the final 5-of-the-last-7 seasons. (three times in Class C, twice in Class D). Senior guards Juniper Brown and Jarret Simpson have led L-M to a top seed in Class D this season. Fun fact: Livingston Manor seeks to win back-to-back Class D titles.